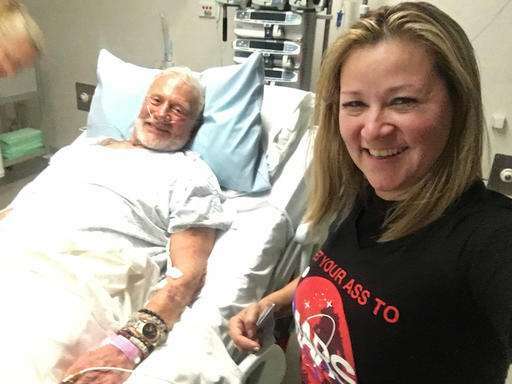 Buzz Aldrin had an unexpected bedside visit from NASA Deputy Administrator Dava Newman on Saturday as he continued to recover in a New Zealand hospital from his medical evacuation from the South Pole. "I had a surprise visitor this morning. My longtime friend ... She beat me to the South Pole by one day," Aldrin wrote. As Aldrin recovers, she said on Twitter, "I did want to let people know that he did make it to the South Pole which was his objective. Thnx for prayers!" Korp said on Twitter she'd told Aldrin he now holds the record as the oldest person to reach the South Pole, according to the National Science Foundation. "He'll be insufferable now," she wrote. She said the evacuation had been grueling. She posted side-by-side photos of Aldrin—one on a stretcher giving a thumbs-up with a purple knit cap on his head, another in a hospital bed, on oxygen and with an IV in his left arm. Just three weeks ago, Aldrin was at NASA's Kennedy Space Center in Florida for the unveiling of a new astronaut exhibit. The ceremony coincided with the 50th anniversary of his launch with Jim Lovell on Gemini 12, the last of the two-man Gemini flights. Both were present and looked as energetic as usual. Aldrin has crisscrossed the globe in recent months and years, pushing hard for human exploration of Mars and promoting space and science education. His latest book, "No Dream Is Too High: Life Lessons from a Man who Walked on the Moon," came out in April. He also teamed up with the Florida Institute of Technology in Melbourne, Florida, now home to the Buzz Aldrin Space Institute. Aldrin lives in nearby Satellite Beach, Florida, not far from Cape Canaveral and its launch pads. 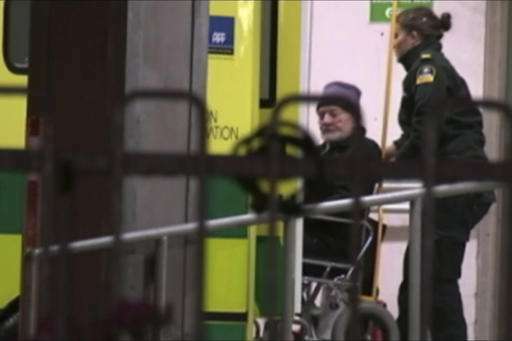 "We wish Buzz a speedy recovery," the London-based White Desert said in a statement. Aldrin was part of an Antarctica sightseeing tour, along with son Andrew. 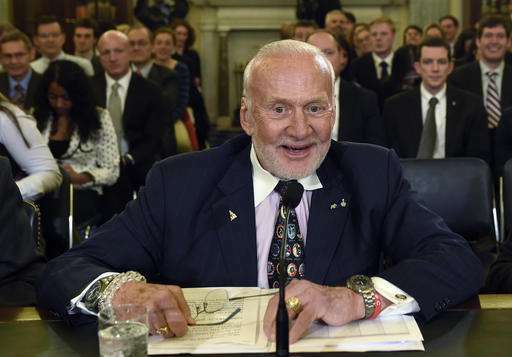 The elder Aldrin was clearly excited about his adventure to the bottom of the world: "South Pole here I come!" he said via Twitter on Nov. 28. The group departed Tuesday from Cape Town, South Africa, on a trip that was supposed to last just over a week. Doctors agreed an evacuation was prudent after Aldrin's condition deteriorated, according to his staff in Florida.